You’ve seen him on TV. You’ve seen him on our website. You’ve seen him in your mailbox and in your email. Now, it’s time to give our little pig a name and we need your help! Enter our Name the Pig Contest and you could Win a $250 Visa Gift Card! It’s easy to enter, just CLICK HERE and type your entry into the form on that page and press SEND. Don’t forget to enter your contact information so we know how to contact you if you win. The contest will run through September. On October 3rd we will announce the winner and our little pig will finally have a name! 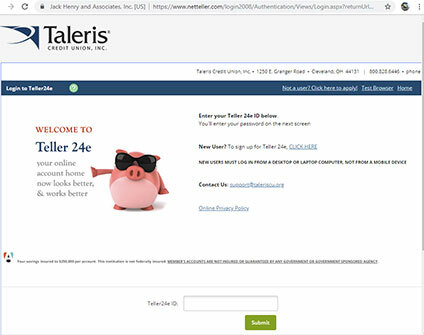 Employees and volunteers at Taleris are not eligible to enter. One entry per person. Already financed your vehicle but think you might be paying a little (or a lot) too much? Compare what you’re paying now with what you would be paying if you refinanced with us. You could save hundreds of dollars over the life of your loan. Call us at 800.828.6446, and ask for the Loan Department. Every year for the past 14 years, Taleris has been raising funds for our favorite son…. Tommy D’Amico. Tommy was born with Cerebral Palsy and has battled through obstacles and hardships most of us can’t even imagine. With incredibly hard work and the support of his family, Tommy has made progress that was unthinkable when he was born. Our latest fund raiser was actually an annual event here at Taleris. We call it the “Tommy Lunch.” It’s a fun and well attended pot luck lunch and everyone attending donates to help Tommy and his family. The cooks bring their favorite dishes and the non-cooks bring condiments, buns, dishes and beverages. The best part is, we all get to see Tommy and his family since they always come to visit for this special staff occasion. The proceeds of all the Tommy Lunches go to help, in a small but heartfelt way, the financial struggles that Tommy and his family continue to endure. We are very proud of our adopted son and the progress he has made and we look forward to seeing him and his family every summer at the Tommy Lunch! We are proud to announce the winners of this years’ Joseph W. Coleman Memorial Scholarship Awards. They are: Tyler Courtright and Nicholas Kovesdi. We had many outstanding applications this year, but Tyler and Nicholas really stood out. Congratulations to them, and thanks to all those who applied. Know someone who would love to join us but just doesn’t have the patience to print, fill out and mail an application? Good news. With our new, online membership application, they can complete the application and deposit money in their new account in about 10 minutes. You can find our online membership application by CLICKING HERE. The Taleris Nominating Committee is seeking candidates for positions on the Board of Directors. As a director, you will be responsible for working with management, fellow board members and other volunteers in an effort to shape the future of Taleris. As a volunteer, your commitment will be approximately 4 to 6 hours per month and your input will be highly valued. General business experience is preferred and a desire to help others is a must. Nominations will be accepted through September 2, 2016. To apply, please forward your name, address and phone number to: TCU Nominating Committee, 1250 E. Granger Road, Cleveland, OH 44131. You may also hand deliver your information to the same address. If you have further questions, please call 800.828.6446 ext. 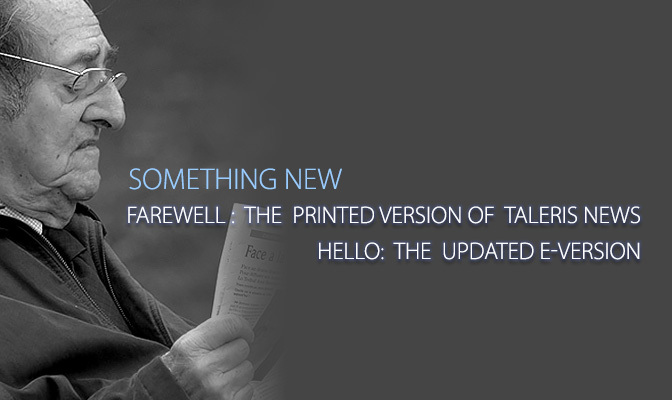 3233 or email us at: volunteer@taleriscu.org.